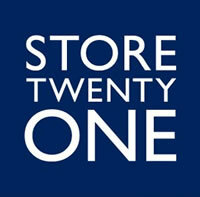 Store Twenty One evolved from a manufacturing business established in London in 1932, supplying clothing to the West End and in particular, Marks & Spencer stores. Its rapid success and continued growth led to the acquisition of factories in Scotland and Southern England. Post war, factory outlet shops were opened to sell merchandise that did not quite meet the stringent quality controls specified by Marks & Spencer. The success of these stores, trading under Quality Seconds led to the opening of a number of High Street outlets during the 1970s when additional merchandise was also added to the ranges. The continued success of the retail operation led to the sale of the manufacturing business in 1984 and the sale of ‘seconds’ ceased. The stores then re-branded to QS in 1987. The business continued to flourish and in March 1990 with 65 stores, the Company floated on the London Stock Exchange and the expansion continued during the 1990s throughout Southern England and the Midlands. At the turn of the millennium, the business made acquisitions including Bewise adding over 50 stores to its portfolio and extending its geographical presence into South Wales and the North of England. Due to the continued success of the retail operation in November 2002, Hamsard 2353 Ltd, representing a group of private investors, purchased the entire share capital making the group a private company. In 2007, the Company was purchased by Grabal Alok, an Indian-based textile company and the following two years saw significant restructuring of the business and the evolution of the business into Store Twenty One as we know it today. The team at Store Twenty One is made up of all kinds of diverse people but they all have one thing in common; they are a passionate and committed to bringing you quality fashion at great value prices. Our Central Office is proudly located in the centre of England in Solihull, West Midlands.